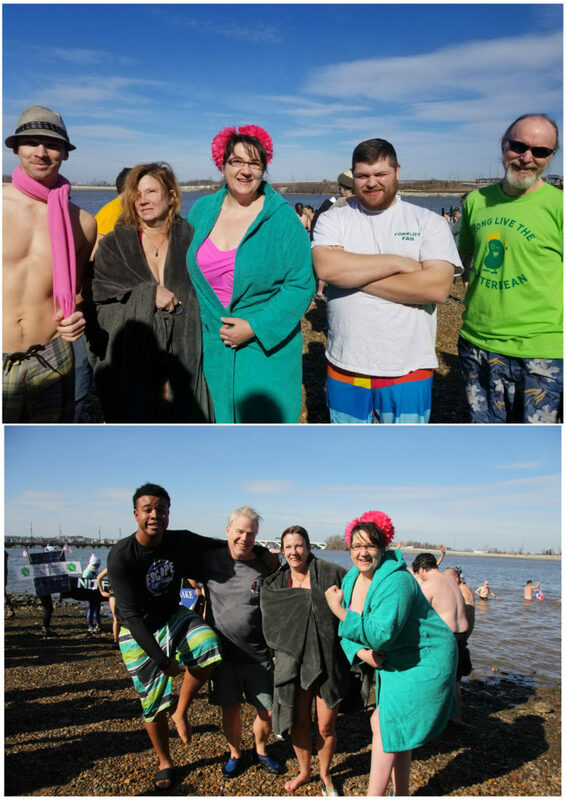 We fundraised, we froze, we conquered! On Saturday, January 27, a brave group of Forklifters plunged (for the 5th year in a row!) 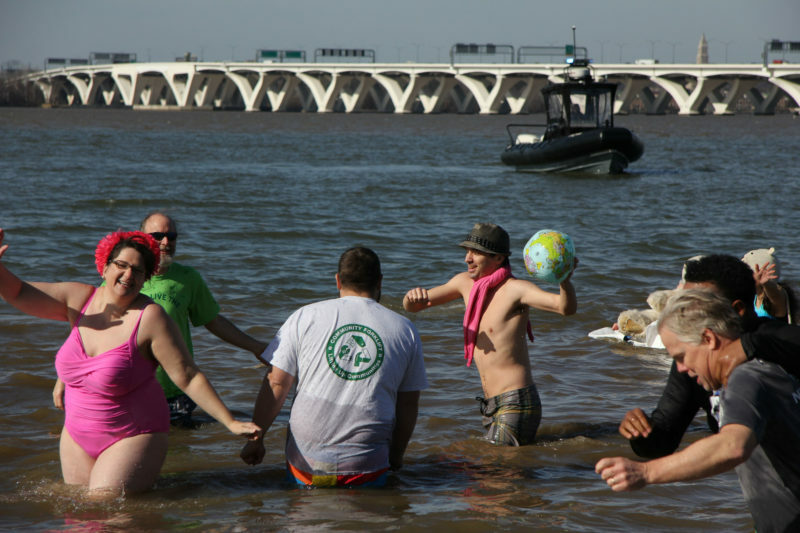 into the frigid Potomac River along with more than 200 environmental activists from across the DC region. Why do we do this to ourselves every year? We sacrifice our comfort to support the Chesapeake Climate Action Network (CCAN) in their fight against climate change. Thanks to your support, our Forklift Freezers were able to raise a whopping $1,725 to keep winter cold. We hit our goal of raising $1,000, so we’ve earned Community Forklift a small portion of the plunge’s proceeds. 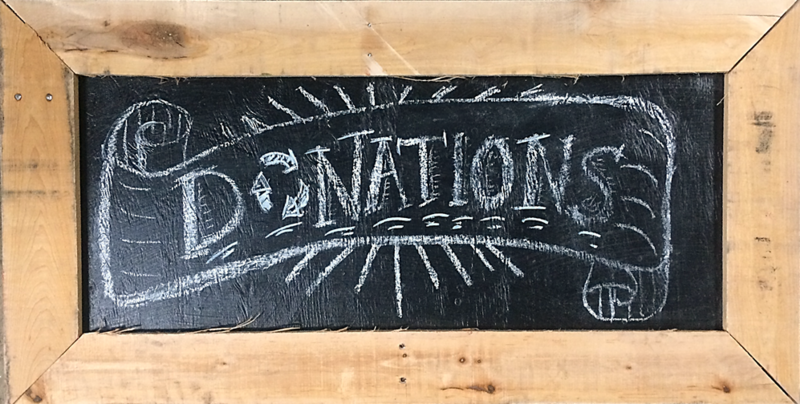 This is money that will go directly into helping us lift up local communities through reuse. 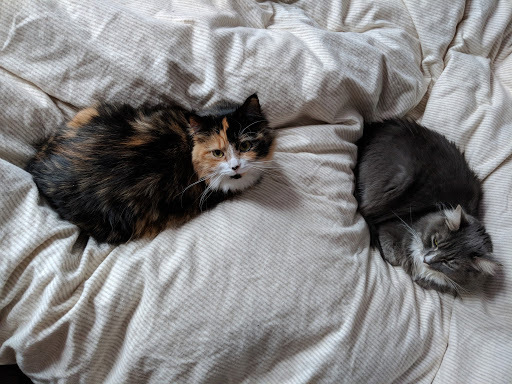 Forklift newcomer and volunteer, Mac, had so much support from his family, even his grand-cats Acorn and Ash donated in his honor! CCAN was also successful, raising $125,640- more than 100% of their fundraising goal! This is a massive boost for the organization, since the plunge is their biggest fundraising event of the year, powering victories to move our region off of fossil fuels and to clean energy. 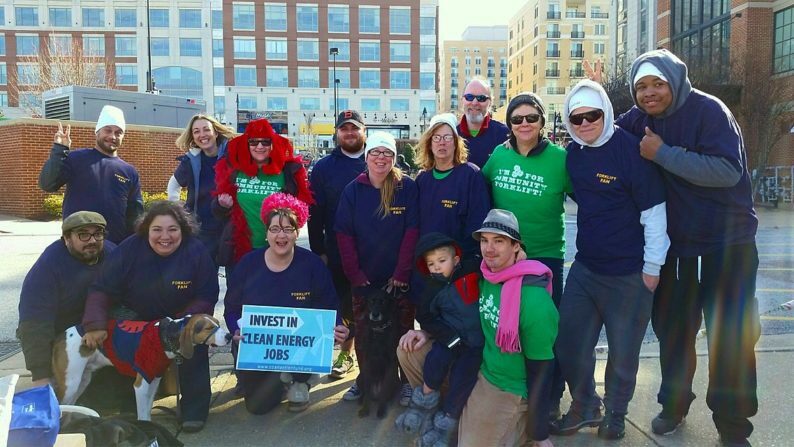 In 2018, CCAN hopes to double the mandate for wind and solar power in Maryland, block fracked-gas pipelines in Virginia, and impose a tax on carbon pollution in DC. Our plungers may get the spotlight, but events like these aren’t possible without the folks behind the scenes. 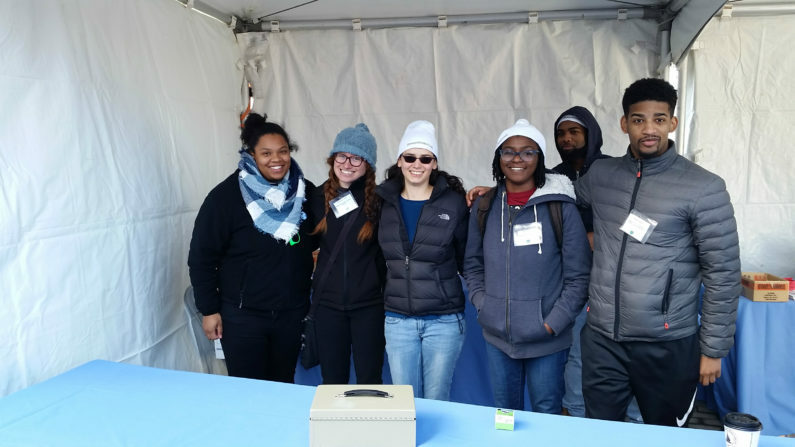 Big thanks to Rachel, our Events & Marketing Coordinator, and all the CCAN employees and volunteers! Part of our mission as a sustainable business is to change the way people think about reuse: not just as a way to save money, but as a way to protect the environment. We’re all on this planet together, and we’ve only got the one, so it’s critical that we work the idea of sustainability into every facet of life. We’d like to give a polar bear’s roar of appreciation to all of you who put your money where your snout is and donated to the Forklift Freezers this year. The polar bears (and planet) thank you! If you haven’t already, please take a minute to help us win Best Green Business 2018!